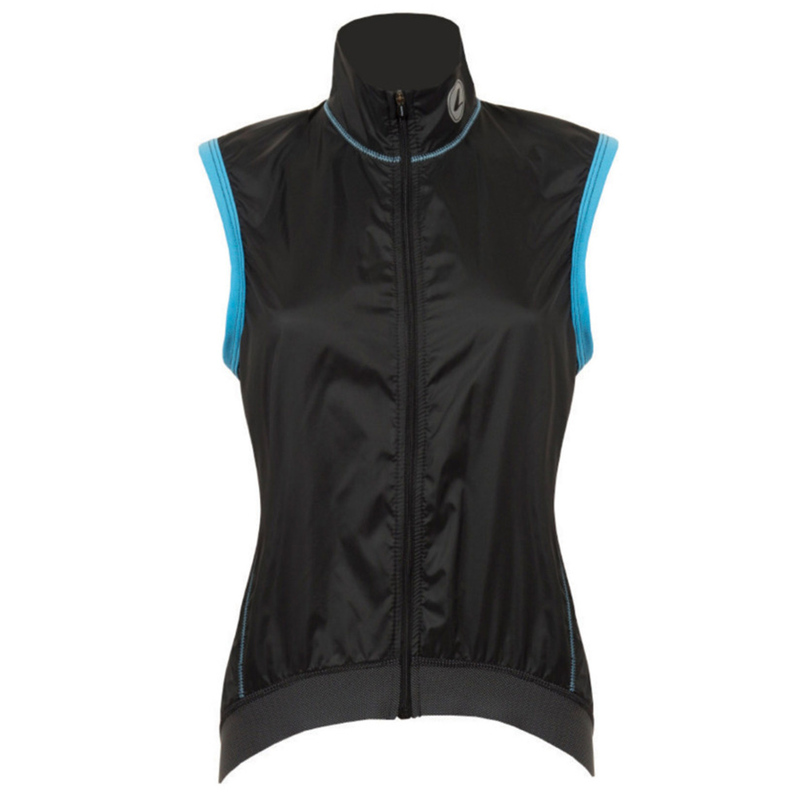 The Lusso Layla women’s cycling gilet is made from premium Italian fabrics and is both windproof and breathable keeping you protected from the elements without making you over-heat during exercise. A dropped tail keeps this gilet low on your waist when you’re bent over the bars and ensures your lower back remains covered and warm even in the coldest, most unpleasant weather while two rear pockets provide storage space for your phone or energy bars. Super-lightweight the Layla can be quickly compacted down and stored in your jersey pocket until you need an extra layer to keep your core warm. The fit is really good and I am very happy with the styling. Lots of gilets have no pockets but this has two, handy for gels. It is light and folds up small to go into a jersey pocket easily.